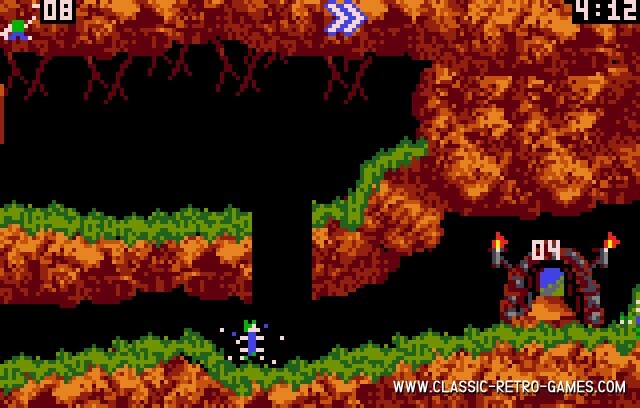 Good old Lemmings video game! 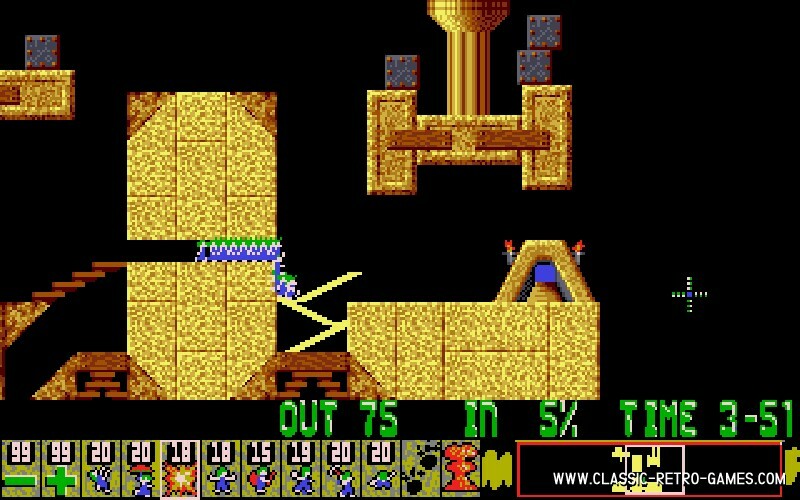 The Amiga megahit in which you control a bunch of mindless ..err.. Lemmings that jump off cliff. Are you going to send them to oblivion or are you going to rescue them? In the original game released in 1991, DMA introduced a new gaming concept which was an instant succes. Also the incredable amount of Lemmings walking, digging and falling at the same time was a spectucular view at the time. 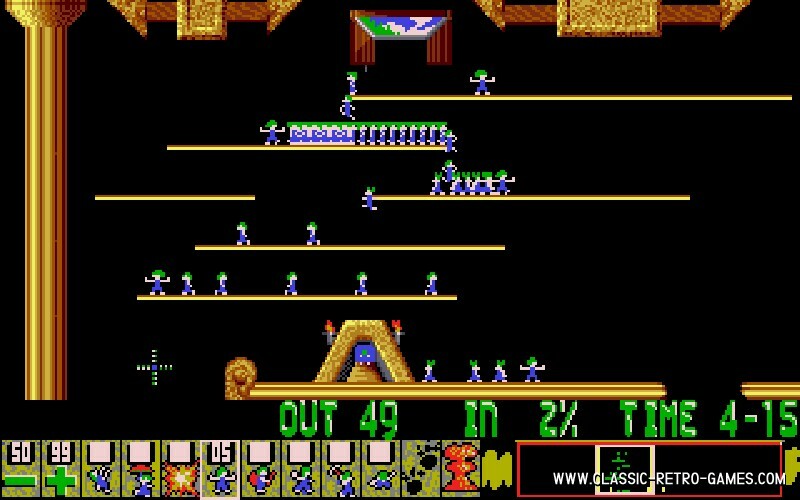 If you enjoyed the suicidal Lemmings on your Amiga and want to retry Lemmings on Windows, you have the chance to do so by downloading this great free Lemmings game remake by Geoff Storey. The game feels and looks just like the original and is just as much fun to play. In the early ninetees the game was ported to many console and homecomputers. But even years later it is still popular. In 2006 and 2007 Sony released Lemmings on Playstation 2 and 3. 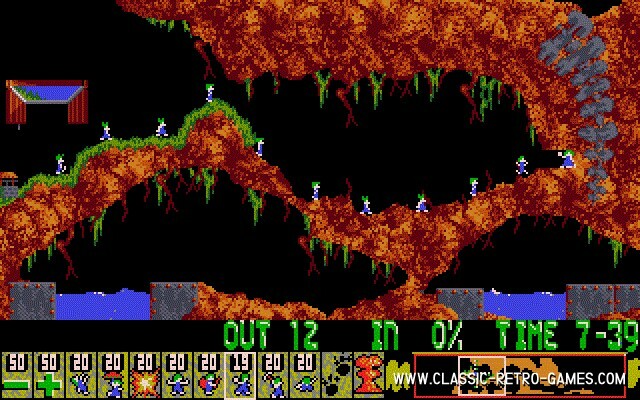 And there is even an Lemmings online version running completely in the browser. And that the game is still hot was noticed also by 1UP who developed an Lemmings iPad and Lemmings iPhone version: they got stopped by Sony. Apparently they haven't been bothered with the Lemmings Android version which is still in Google Play. Currently rated: 4.3 / 5 stars by 308 gamers.